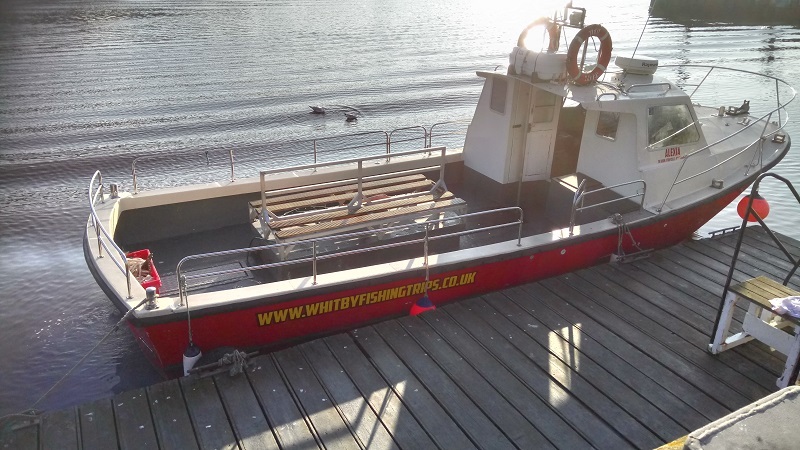 Jon Whitton and Barry Goodhall welcome you to Whitby Fishing Trips! 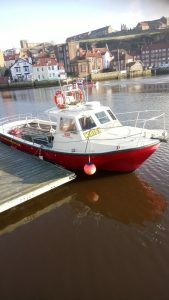 We offer Charter Angling Fishing Trips from the picturesque port of Whitby North Yorks. 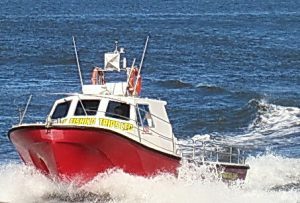 Jon Whitton needs no introduction, as most regular anglers are aware, running Whitby Fishing Trips he has served many a year taking anglers, both novice and experienced out to sea fishing and his knowledge and expertise is second to none. 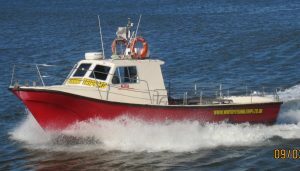 Indeed Jon’s former boat, Never Can Tell – A, was a regular sight in the port of Whitby, and has won many daily and overall prizes in the Whitby Charter Skippers Association (WCSA) Festivals of Fishing. After taking a well earned rest, the sea has lured Jon to once again take over Whitby Fishing Trips with Skipper Barry Goodhall who, after several years on other vessels in Whitby took the plunge and became a partner in Whitby Fishing Trips Ltd.
Jon and Barry’s first task was to source a fast reliable boat, and as a result purchased an Offshore 105 which was brought to Whitby early 2018 and named Alexia. As well as doing our utmost to get you on the fish! With Barry now at the helm and Jon taking a back seat, passing on his skills and knowledge to Barry, we are set for a great partnership and will strive to make every trip a safe, memorable, friendly, fun and pleasant one! Barry and Jon are a great friendly team and will provide a trip suitable for any angler from the novice to the experienced, we pride ourselves in excellent customer service. 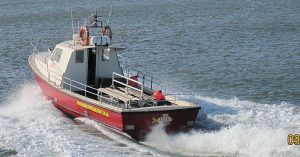 We hope to have you all aboard fishing with us soon. Many thanks Barry and Jon. 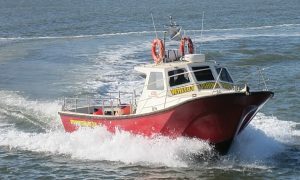 we are Whitby Fishing Trips, and you will see our website address on the side of the boat.